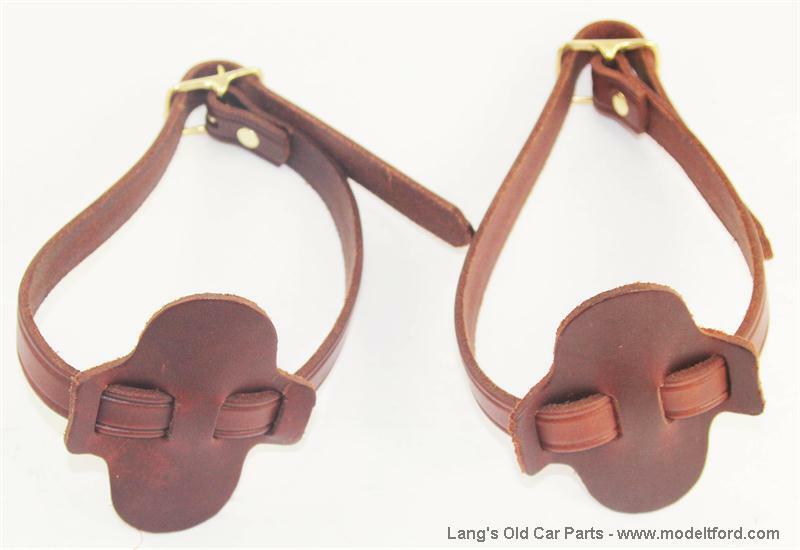 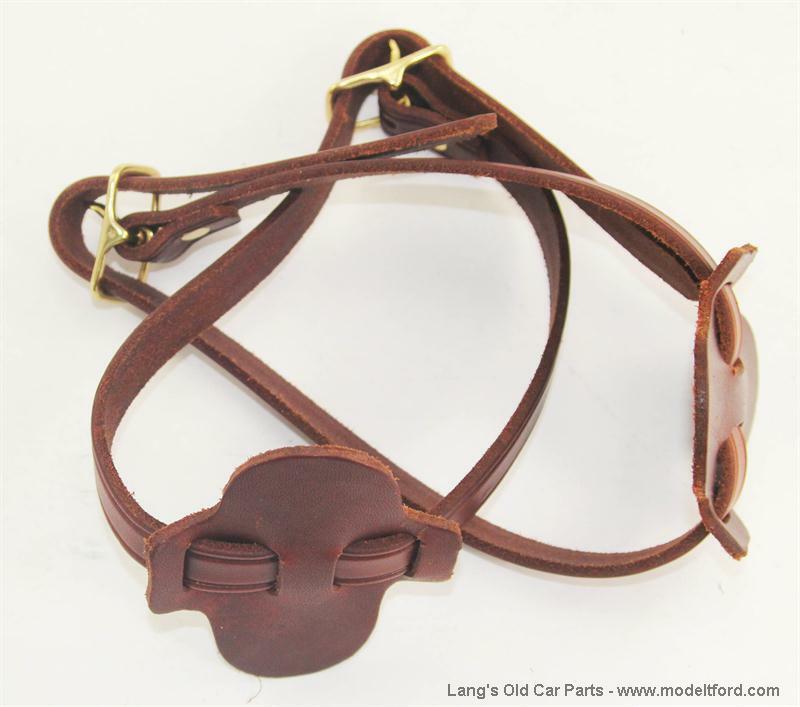 Top bow hold-down straps and saddle pads, natural color leather with brass buckles. 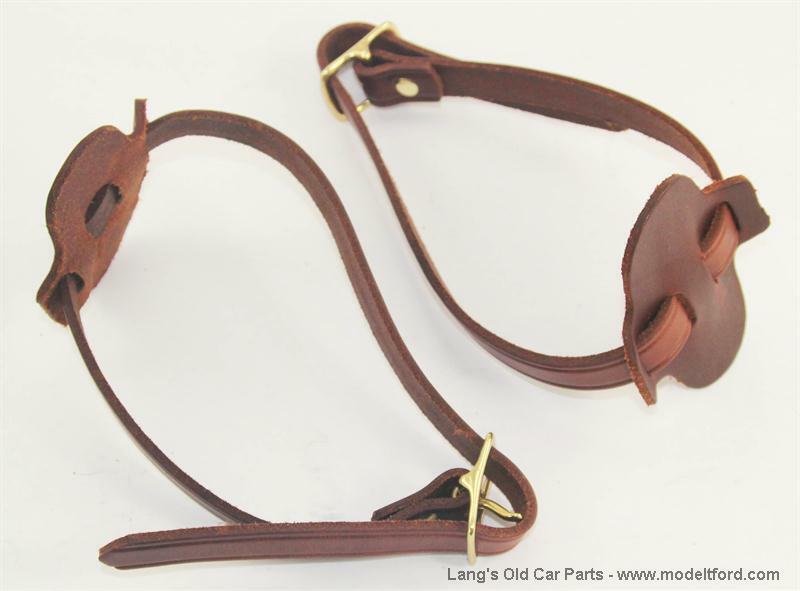 This is not an original Model T color but can be used on any car. 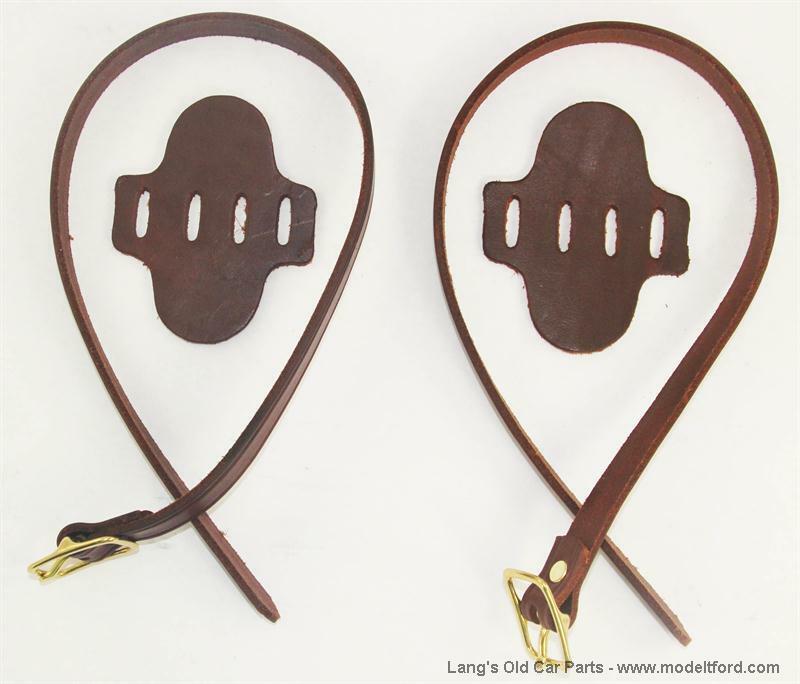 These straps hold the top irons in place when in the down position.